4 payments of $144.51 to be paid over the next 4 months (1 payment due each month) to pay the remaining balance. The Revolution 45 suppressor from Griffin Armament is a versatile, durable, fully featured pistol suppressor. 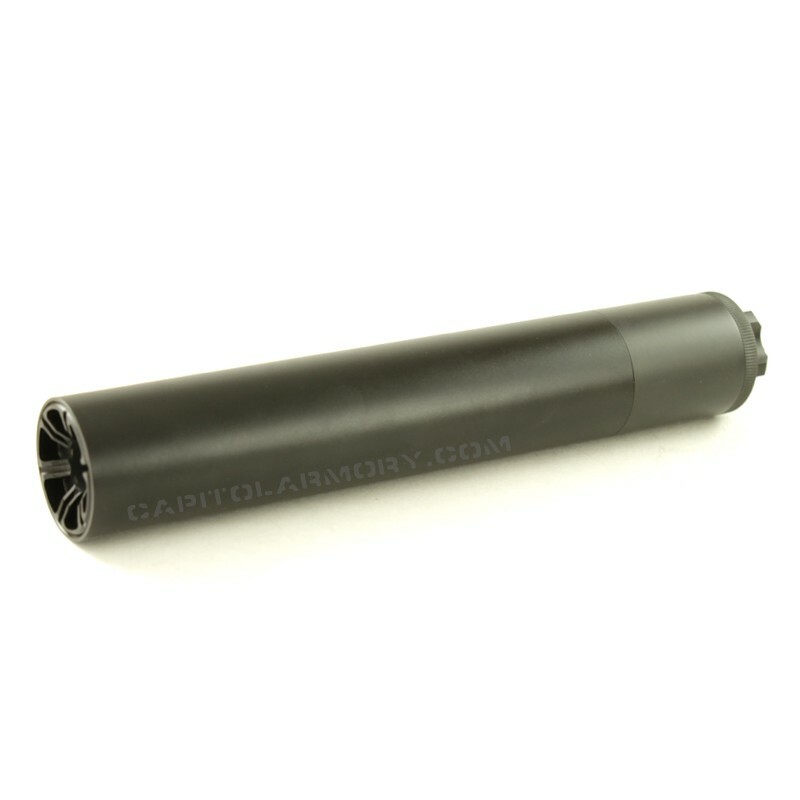 It's configurable, modular design lets the user adapt the suppressor to their needs. By removing the external booster housing, the booster can be collapsed into the silencer tube to create a shortened (K) configuration. Using a simple 2" fender washer, the user can fully disassemble the Revolution 45 for cleaning or reconfiguration. Because there is no proprietary tool to break down the suppressor, it can be serviced anytime or anywhere. 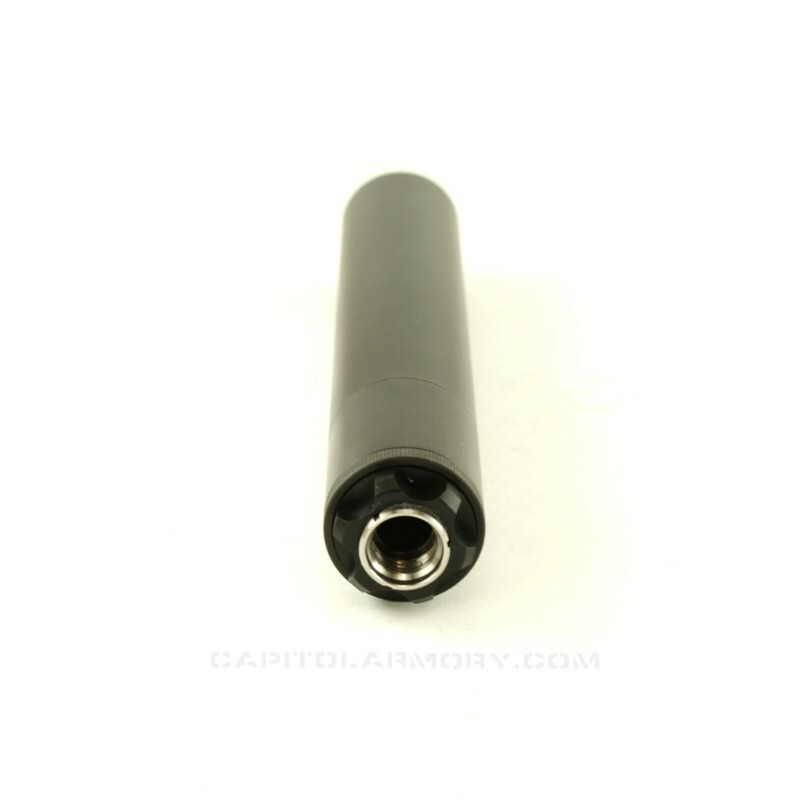 The Return to Zero baffles are coated with TiN, providing for a long life and easy cleaning, as well as always returning to the same orientation when installed into the suppressor tube. In additional pistols, the Griffin Armament Revolution 45 can be used with a fixed barrel spacer on 300 Blackout (subsonic) rifles, or pistol caliber carbines. For subgun use, such as the MP5, a 3 lug assembly is available. These Mod 3 revisions are hunter rated for 5.56, 7.62x39 and 300 subsonic per Griffin's new hunter rating. 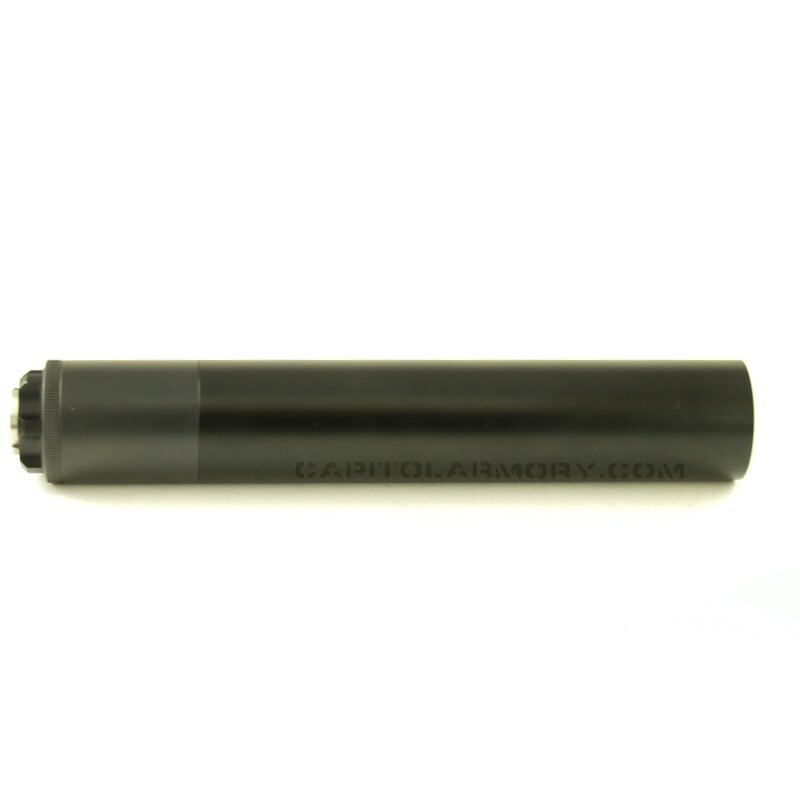 The Revolution 45 Silencer is a full featured, configurable, and modular silencer with excellent sound performance, durability, and greater versatility than any other pistol silencer on the market today. The Rev 45 silencer can be fully disassembled for end user maintenance by using the included 2" fender washer with the front cap. The Rev 45 does not require proprietary tools for dis assembly, ensuring that if lost, you can find the dis-assembly tool almost anywhere in the world. The Rev 45 is shipped in it's full size configuration with an included .578x28 booster piston to run on your 45acp pistol barrels. However the user can swap out the pistol booster assembly with other pistons for use on 40 S&W, or 9mm. Additionally our integral 3 lug 9mm QD assembly can be interfaced if desired to run on 9mm MP5's, AR carbines, or any 9mm wearing a standard 3 lug adapter. The Rev45 is also rated for 300 BLK Subsonic with use of the Revolution Fixed barrel spacer (available separately). 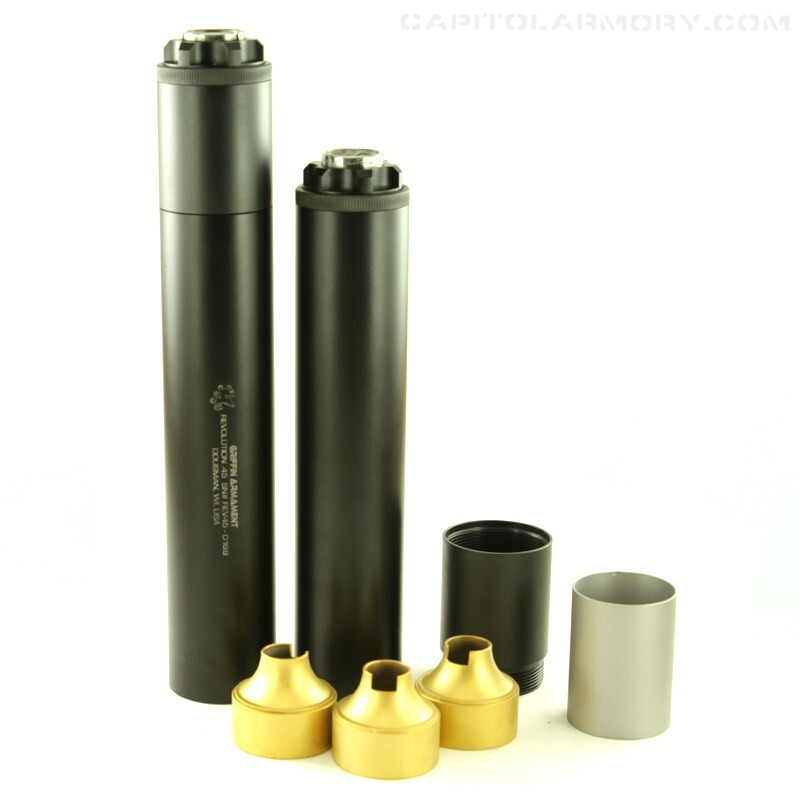 Most unique about this series, the Rev 45 can also be configured into a short (K) configuration by removing the Stainless black oxide external booster housing extension and collapsing the booster housing or 3 lug assembly into the silencer tube. This configuration is best used wet. By adding 5cc's of rem oil, wire pulling gel, or some other ablative medium sound suppression can be dampened extremely well in the short configuration. The Rev 9 uses TiN coated 17-4PH frustoconical baffles with our Return To Zero (RTZ) Geometry. 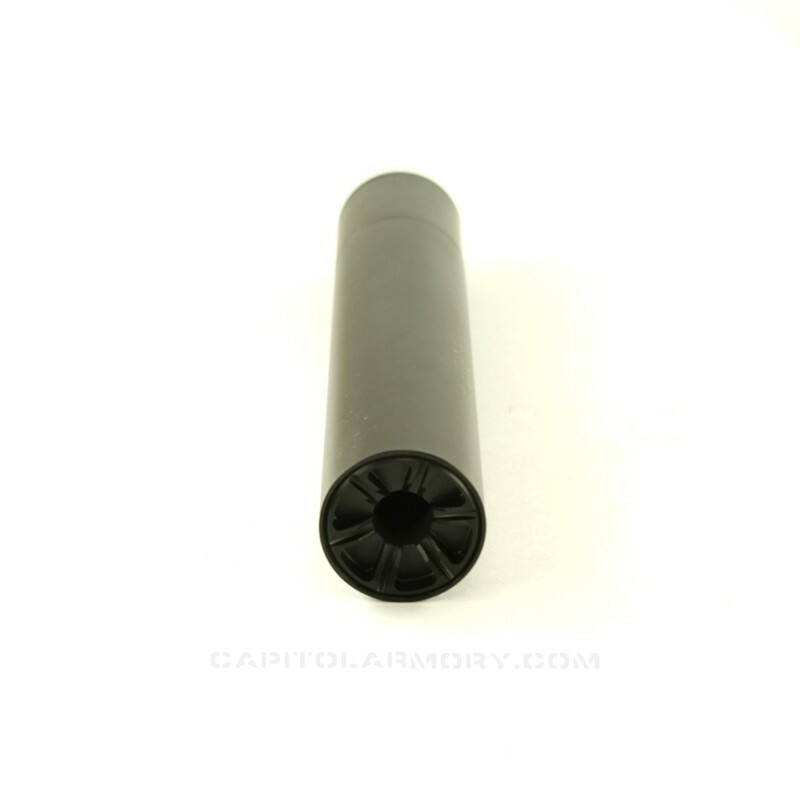 The Return to Zero baffles key together so that every time you disassemble the silencer and put it back together you can achieve the same baffle orientation so that your point of impact shift will remain the same negating the need to re-zero your carbine or pistol after servicing. (applicable to full size configuration) The Titanium Nitride baffle coating increases wear resistance 5 times over an untreated stainless surface and improves cleaning efficiency.